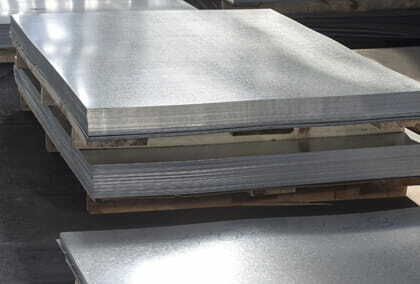 We have a large variety of metal panels, sheet stock, fabricated goods, etc. Custom fabrication, quickly and accurately solving all of your sheet metal needs. From panel wall & roof systems to gutters, coping, and interior cladding. We'll ensure you get high-quality craftsmanship with the best materials available. We fabricate and install precision, custom architectural elements from copper bays, bows and turrets to standing seam roofs. Give us a call! Have a Tight Deadline? No Problem! We house Michigan's largest supply of sheet metal, giving you more options and availability. And because you're working with the fabricator, you have shorter lead times and flexibility. With JML Contracting, you're ensured the best price, accurate fabrication and on-time delivery. Get the materials you need, when you need them. Contact us today! Specializing in fabrication, installation and supply of close-tolerance commercial, industrial and residential sheet metal components. From decorative sheet metal products such as roof and wall panel systems to crafting specialty metals such as Copper and Zinc, J.M.L. Architectural Sheet Metal is SE Michigan's leading supplier and manufacturer of sheet metal products. We work with contractors, building & homeowners, and architects on any size project, from small orders to large projects. Our employees are expert sheet metal fabricators and installers, so every person you work with at J.M.L. can offer you advice based on personal experience. At J.M.L., we have established a reputation for tackling the most difficult sheet metal assignments. More Options. Better Variety. Huge Inventory. We house tons of sheet metal at our Warren, MI facility. That means you're never limited by our supply. Special order materials are available at your request. Whether you are installing gutters or a roof system, with guaranteed on-time delivery, we get you the materials you need for your project- so you can meet your deadlines. And if you're not sure what metal would be best for your application, just ask! 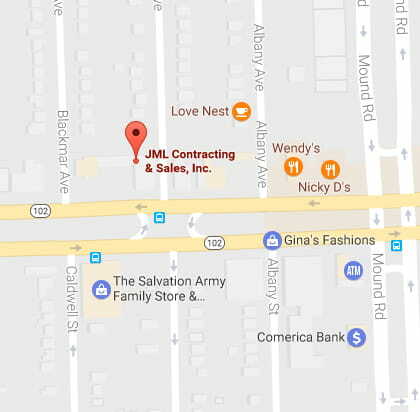 When you work with J.M.L., our advice is free. Our experts know exactly how each product can be used, so we can make sure you are using the most appropriate metal for your project. 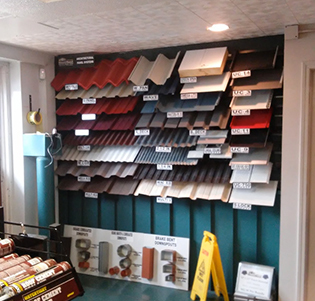 We'll also provide all the detail sheets, color charts, etc. Any Product. Any Size. We do it all!